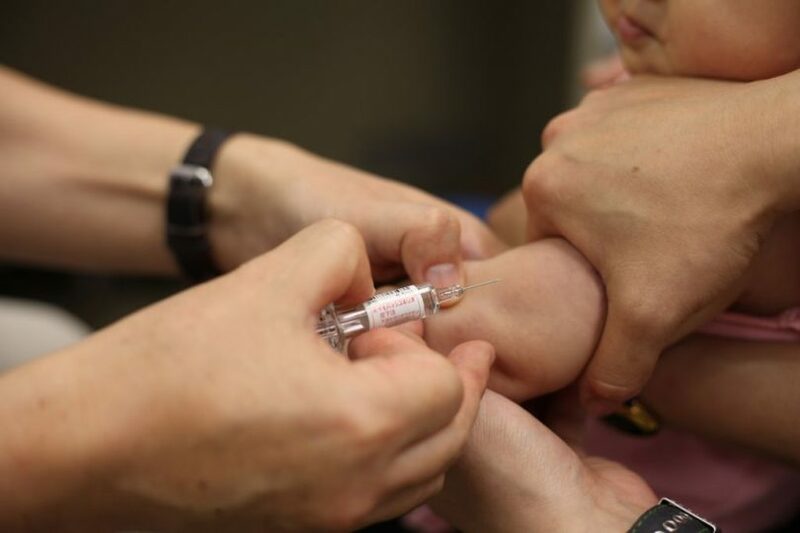 Image: “IPV vaccination” by Sanofi Pasteur is licensed under CC BY-NC-ND 2.0. Before I comment on the vaccine debate, I would like to say that I am not a parent, nor do I have the emotional experience of wanting the best for your child and being unsure of how to achieve that. That being said, I am for the mandatory vaccinations of all those who can receive them. My stance doesn’t really matter in this debate, though — it’s long gotten out of hand with both sides deeply entrenched within their ideas. If this conversation is to move forward, it will require a direct effort and examination in the conversations around it. Conversations are vehicles to transmit ideas between one another, each word forming a tube designed to carry a steady flow of ideas between minds. We all experience a qualia with ideas, qualia being the internal and subjective component of sense perceptions. Think of the “redness” of the color red or the “itchiness” of feeling itchy – those ideas and sensations that just seem to be what they are called. These ideas are then packaged into words to be sent to another person, using the shared rules of grammar to assure the message gets through properly. The problems most people run into are in the way people relate to their ideas and in the inability to see how others relate to their ideas. This is where the stagnation and gridlock of our modern discourse comes from. The ability to discuss something with someone who vehemently disagrees with you is essentially impossible in this day in age, but UFC commentator and comedian Joe Rogan stands as an exception to this assumption. On his podcast, he has hosted people from Alex Jones to Neil DeGrasse Tyson and everyone in between. Rogan is by no means an academic, but he does possess a skill crucial to becoming one: an emotional detachment from his ideas. Rogan can have his ideas and beliefs criticized and adapt to fit any new information without any loss to his ego, which is crucial in having a productive discourse. The other tool is the acceptance that everyone thinks their actions are justified and that there is a lens to view the world in which they are justified. If you want a successful discourse, it helps to humor whomever you’re talking to and look through their lens to understand the fears informing their actions and stances – and how you would feel if you found out that your fears were unwarranted. If what you want is to convince someone of truth, it is critical to provide a non-judgmental, empathetic ear for them and their concerns. You must swallow your pride and only encourage them for making the movement. Forcing shame on them for a past mistake will only make them more resistant to finding the truth. Essentially, you can be right and be a rude about it, or you can be right and help others find the truth. This may seem manipulative, a pair of dialectical tools designed to control people. They can be used as such, but they really function more as a lifestyle – a method of relating to ideas in a way that matches the dynamic nature of information you hear and a method of explaining where you demonstrate how their reality doesn’t coordinate to their message without calling them crazy. The critical factor is to have the ability to figure out what is actually true before you act to convince someone, but this method of discourse also tends to allow the truth to rise if both participants are honest actors. When it comes to vaccines, I would tell an anti-vaccine advocate that I would admit that I don’t know what it’s like to have made a child and the incredible feeling of responsibility that entails, nor do I know the stress or fear that comes with it. I do agree that skepticism is good for issues such as medicine, but not to the extent that you distrust the scientific community. I do think that drug companies care far more about their profits than their patients and that they work far more on responsive medicine over preventative medicine, but a broken clock is right twice a day, and they are right about vaccinations. And I’m sorry but I can see no rationalization where a pediatrician could be trying to harm your child with inoculations. That fear is irrational. I know you are afraid, which is tough, but vaccines only work if all of us who can participate do participate, and the rise of preventable diseases is showing that. I do my best not to judge any person who admits their mistake and works to correct it. I would rather move forward together. This is the best way I’ve found to do so.